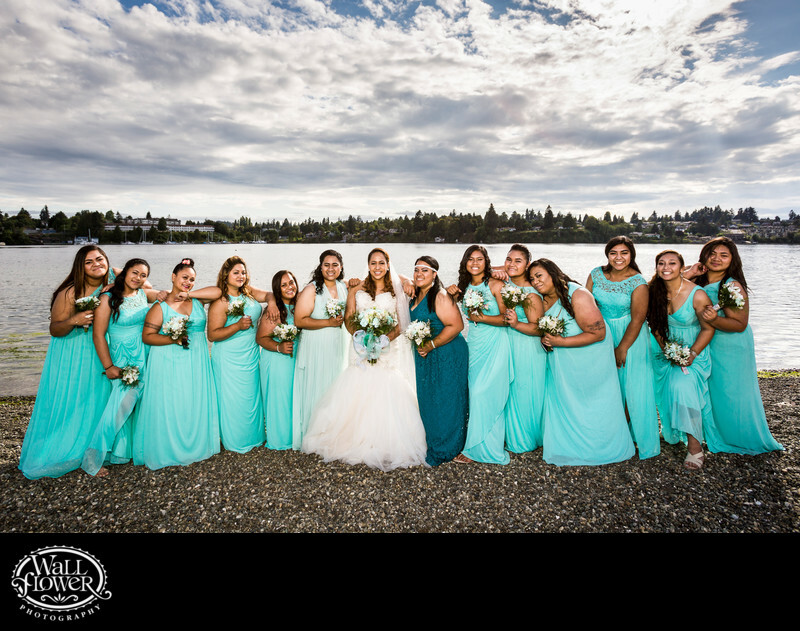 After their wedding at the Bremerton Elks Lodge, we hit the road for nearby Lions Park to shoot portraits with the bride, groom and their huge wedding party. This portrait of the bride and bridemaids leaning on each other was one of my favorites. Although it might not be immediately obvious, this photo was only made possible through the use of all four of my off-camera flashes, each pushed to eight times their normal power, so that I could provide good lighting on everyone's faces while retaining nearly all the color and detail in the partly cloudy but extremely bright sky.